The 2018 Ford Focus is a fun car to drive. It comes in various looks and has a sporty version that stands out on the roadway. The new Focus ranges in price depending on the model selected. Car buyers can choose from the S Sedan, SE Sedan, SE Hatch and SEL Sedan. 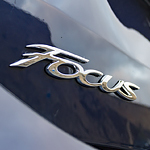 The 2018 Ford Focus was built to be driven aggressively. The car features standard torque vectoring control, which enables the front wheels to grip the road. This helps the car handle better going through corners. The interior of the new Focus is displayed in intricate detail. It showcases the French seams with alloy trim and leather trim seating. There is an 8-way power driver seat in the basic model of the car. The Sync 3 system delivers the power of Apple CarPlay and Android Auto to the entertainment system. Siri is available to operate the iPhone or Android. Experts at Keith White Ford-Lincoln are waiting to assist anyone in McComb who need to test drive the 2018 Ford Focus today.